Since its inception, cinema has evolved into not merely a ‘reflection’ but an indispensable index of human experience – especially our experience of time’s passage, of the present moment, and, most importantly perhaps, of the past, in both collective and individual terms. 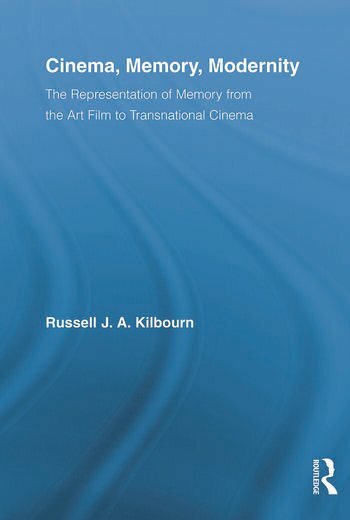 In this volume, Kilbourn provides a comparative theorization of the representation of memory in both mainstream Hollywood and international art cinema within an increasingly transnational context of production and reception. Focusing on European, North and South American, and Asian films, Kilbourn reads cinema as providing the viewer with not only the content and form of memory, but also with its own directions for use: the required codes and conventions for understanding and implementing this crucial prosthetic technology — an art of memory for the twentieth-century and beyond. Russell J.A. Kilbourn is Assistant Professor of English and Film Studies at Wilfrid Laurier University.